Growing cabbage is a very easy job. But as they start growing there may be different problems which start to creep in. Apart from the infesting with pests, sometimes the excessive growth can create a lot of problems. As leaves start touching the ground; leaf rotting starts to occur. The best way to get rid of this issue is to start pruning. Though pruning (removal of some part or parts of the plant) and thinning (removal of the whole plant to ease the crowd) both serve the same purpose of survival, most of the time they are addressed separately. Here in this article I will club them together and use the terms interchangeably. Why should I prune a Cabbage? Pruning is very important for plants survival and to create healthier plants. 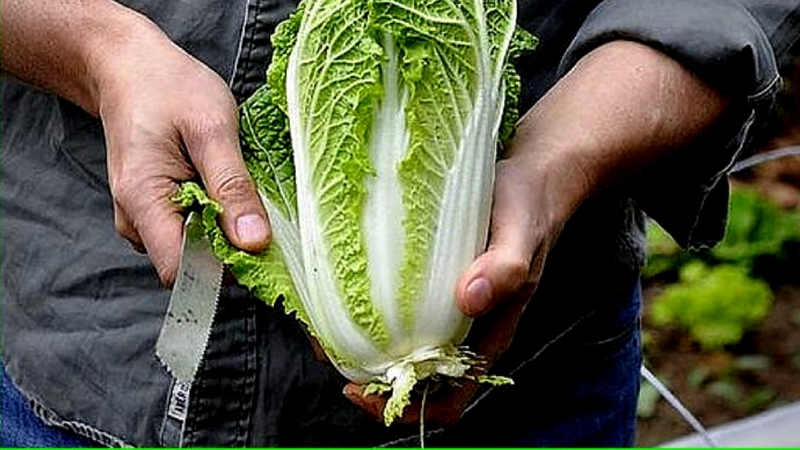 Pruning helps the cabbage plant by providing the much-required space to thrive and build larger heads. It allows the plant to focus all its energy and food to deserved ones. When to Prune a Cabbage? Timing is a very important issue in pruning cabbage. Begin the process once they start to bloom. The reason being that you can decide and choose the plants with best-blooming rates and remove the once which are not matching your expectation. How can I Prune a Cabbage? Remove limp or unhealthy leaves from the plant. Generally, you can do this just by tearing the leaves. In case you find the leaves tough to do so use sharp knife or scissors. Use the trimmed off leaves for composting. If the leaves are fresh and tender you can use them in salads also. Sometimes you may need to remove the whole plant which is not performing well (also called thinning). Have you pruned the cabbage? Share your experiences with us.